WHILCE PORTACIO SKETCHBOOK 10 available!!! But please send email again if you're still interested!!! 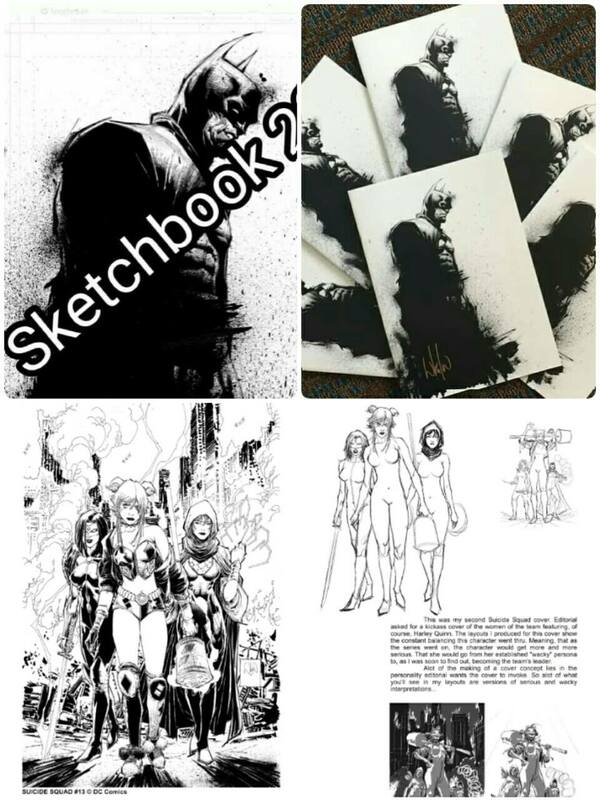 ▶10 x 13 sketchbook containing 30 pages of concept art prepared by Portacio based on his recent Marvel/DC covers. Limited/numbered/signed. Email for correct shipping cost. Address is required. Insurance is required for item over $2000. Non-published art can be shipped regular, please inquire. Verify international shipping for your country. Inquire if you want to do Fedex or UPS. Returns are only accepted if I shipped you the wrong item. All paypal payments are subject to fees. Thank you! Other Original Art Available here!